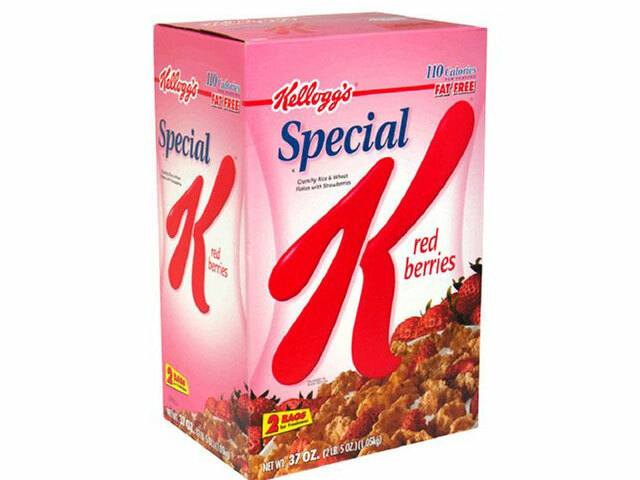 Fans of Kellogg's Special K Red Berries may want to check the UPC code on their cereal boxes. The company announced on its website last Friday that it had recalled lots of three sizes of the cereals because they may be contaminated with glass fragments. The company says that sizes other than these packages are not affected by the recall, nor are packages with the letter codes KXA, KXB or KXC which are found after the "Better if Used Before Date." No other Kellogg products have been included in the recall. There have been no reports of injuries associated with these products, the company said. People who have these packages could contact Kellogg's for a coupon for a replacement. Earlier this month, Nestle Prepared Foods recalled boxes of Lean Cuisine frozen ravioli due to possible glass shards in products. Last year, Kellogg's issued a recall of its Frosted Mini-Wheats Bite Size Original and Mini-Wheats Unfrosted Bite Size products due to the possibility of flexible metal mesh fragments in the products.